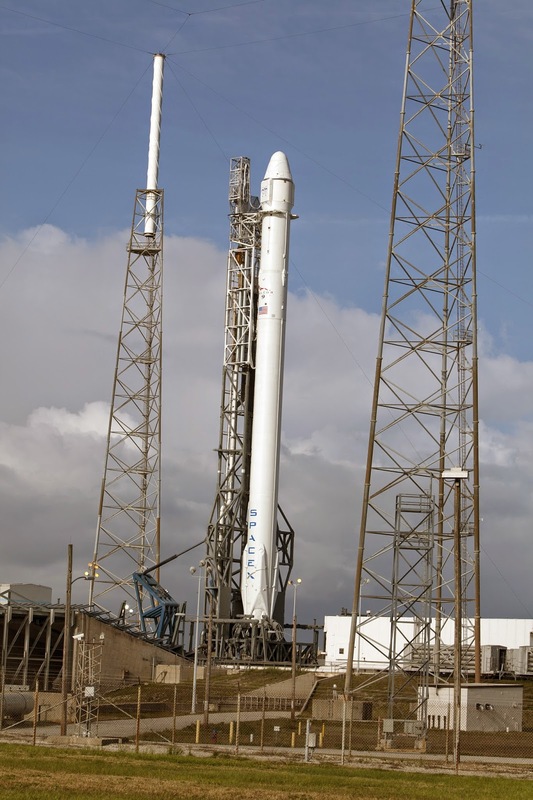 CAPE CANAVERAL, Fla — Space Exploration Technologies (SpaceX) has confirmed the rescheduled launch for their third contracted cargo resupply mission to the International Space Station (ISS), SpaceX CRS-3, is now set for Monday, April 14 at 4:58 p.m. EDT. This launch will come after nearly a month of delays concerning multiple issues with both range equipment at Cape Canaveral Air Force Station (CCAFS) as well as last minute concerns with SpaceX over their originally scheduled launch attempt on March 16. SpaceX President and Chief Operations Officer (COO), Gwynne Shotwell, spoke about multiple concerns leading to the original launch delay during an interview that appeared on The Space Show on March 21. The most widely-reported issue being oil contamination of thermal blankets in the Dragon spacecraft’s trunk, but more issues came about in addition to this primary one. Shotwell also cited delayed buffering between data transfer issues with Houston, a need for more time to work on range trajectory, and a “time crunch” with SpaceX’s operation crew because of the upgraded Dragon set to fly this mission. The up-rated Falcon 9 v1.1 has flown a total of three missions to date – all of which have been launched to deliver private satellites to their destinations. “So it was really a combination of those four things so we said ‘you know what, we need to step back, we need to make sure we do everything we can to make this mission successful and go work these issues,’” Shotwell said. The second attempted launch day for SpaceX CRS-3 was planned for Sunday, March 30, but this was scrapped due to fire damage to the ground tracking station at CCAFS. This also caused the delay for United Launch Alliance (ULA) of an Atlas V 541 rocket at nearby Space Space Launch Complex 41. ULA has set a tentative launch date of April 10. 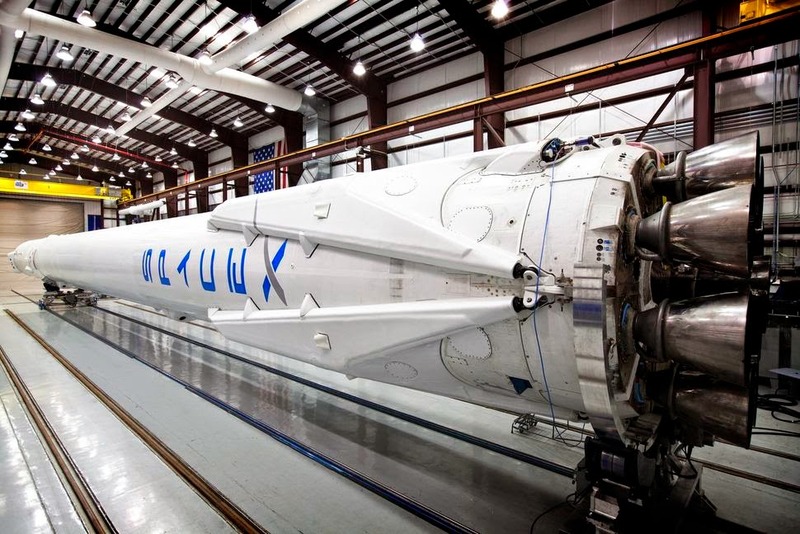 This upgraded Falcon 9 rocket made its debut in September 29, 2013 with the flight of the CASSIOPE spacecraft. In terms of this flight – there is one, notable difference however – this Falcon has legs. SpaceX plans to attempt a controlled landing of the lower stage of this rocket for eventual refurbishment and reuse. SpaceX hopes to perfect this over their coming launches and have reusability available on future missions starting as early as next year. They openly admit that it’s a challenging goal, but well worth the efforts due to cost saving factors in the long run. In addition to the modifications made to make the Falcon 9 a reusable rocket, Shotwell stated this flight also required a new avionics system and redesigned interior racks to handle the scientific experiments and other equipment associated with this mission. If all goes according to plan the Dragon spacecraft should deliver an estimated 4,600 pounds worth of crew supplies and payload to the space station including science material that will support more than 150 investigations set to be worked on by the Expeditions 39 and 40 crew members.